Clerked with the U.S. Attorneys' office in Eugene, Oregon for one year. Staff Attorney with United States Senate Committee on Indian Affairs. 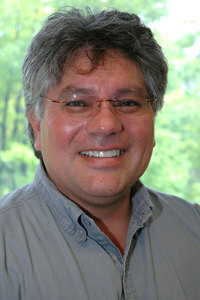 Faculty Advisor for the Great Lakes Indian Law Center, a resource and internship program at the UW Law School. Director, Office of Congressional and Legislative Affairs, Bureau of Indian Affairs, US Department of the Interior. Past President, National Native American Bar Association. Formerly, Environmental Protection Agency's National Environmental Justice Advisory Council's Indigenous Peoples' Subcommittee. Has served as Chief Judge for Pascua Yaqui Tribe, Special Judge for HoChunk Nation, Special Judge for the Trial Court of the Turtle Mountain Band of Chippewa. Has written several law review articles, book reviews, and essays for edited collections. Teaches Torts, Water Law, and Federal Indian law including jurisdiction, taxation, and gaming.